Links below are downloadable PDF files where you can register and mail in your registration and team with payment. 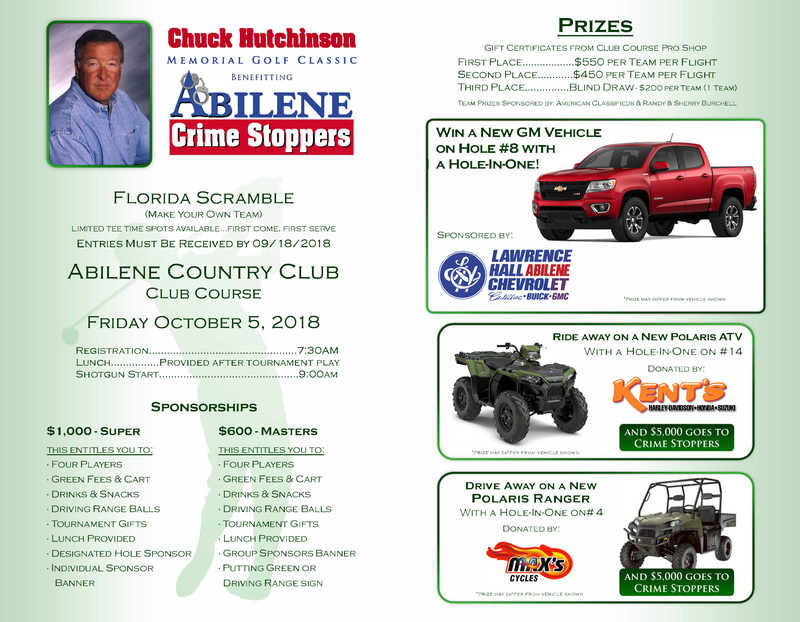 All proceeds benefit crime stoppers and our community by helping Law Enforcement. From the Board of Directors, thank you for your support. If you wish to make an online donation, please click on Donate below and follow the online instructions. Thank You. 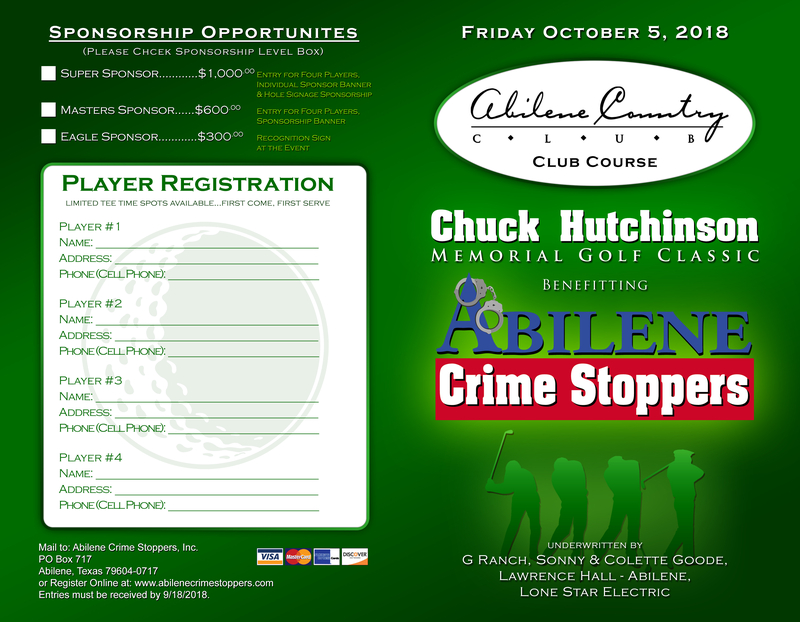 All site content on Abilene Crime Stoppers website is copyrighted. Any copying, use, or dissemination without prior written permission is prohibited by law.